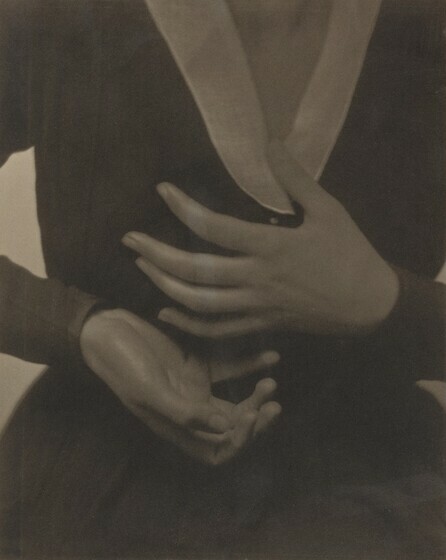 Sarah Greenough, “Alfred Stieglitz/Georgia O'Keeffe—Hands/1917,” Alfred Stieglitz Key Set, NGA Online Editions, https://purl.org/nga/collection/artobject/59979 (accessed April 25, 2019). For more information pertinent to this photograph, see Key Set number 457. Peters, Sarah Whitaker. Becoming O'Keeffe: The Early Years. New York, 1991: pl. 64. Greenough, Sarah. Alfred Stieglitz: The Key Set: The Alfred Stieglitz Collection of Photographs. Washington, 2002: vol. 1, cat. 460.